My name is Morse. I developed a code that you use. I developed a code that you use for communicating with each other across long distances with dots and dashes and dashes and dots. And those little symbols reflected what people were feeling, what they were feeling and thinking at the time. And they traveled across oceans, traveled through air. The codes remained intact. The code was simple, but the way it was set up — the pattern, the order, the repetition — all of that was, in a way, complex. Now think about this for a moment, because we are here this evening to talk about communication. We're here to talk about code in communications. What does that mean? It means the way you talk to one another is coded, for the words that you speak are not always what you mean. Oftentimes there's a pause in between the words, or there is the length in time and the care that you take to deliver a sentence to someone else. It's the look in your eyes. We couldn't quite get that in the code. But after a while, people were able to feel the energy behind the simple message that came across the wire. You have that in your email and Internet stuff now. When somebody sends a text message, you start to feel the emotion behind it, don't you? You start to feel the tone. But when it first was around, nobody could tell what the tone was. It was just words appearing on the screen and your interpretation of them. Now you've become so sensitive as beings that you can tell the tone of a text message. 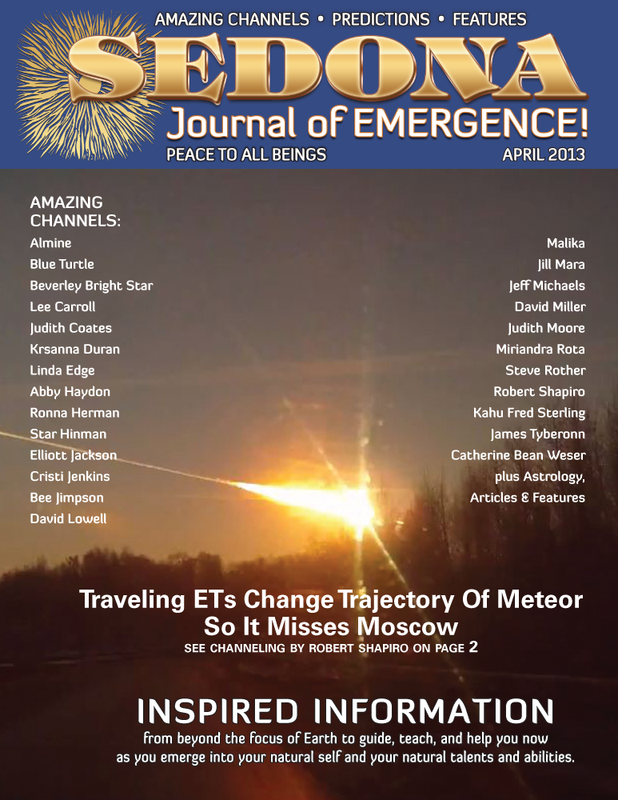 The full version of this Channeling article appeared in the April 2013 issue.